Our district has a fascinating history as it was established between two rural, agricultural towns in 1970, and became operational in 1973 with the opening of Shepherd Hill Regional High School in Dudley. The district graduated its first class of its new high school in June 1974. The towns can no longer be described as agricultural or rural but that has not made them any less attractive to the many families who move here because of the school district and the quality of education. The district now provides for the education of nearly 4,000 students in pre-K through grade 12. 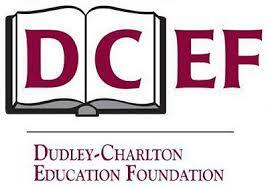 The Dudley-Charlton Regional School Committee is composed of seven members. Six members are elected by the citizens of each town to serve three-year terms. The seventh member is elected by the town with the largest student enrollment and serves a one-year term. Presently, the town of Charlton holds the seventh seat. School Committee members are not compensated for their work. Meetings are held on the second and fourth Wednesdays of the month, but with one meeting per month in July, August, November, and December. Meetings are taped for airing on the local access cable channels in each community. The FY 2016, district budget is $47,409,796, with assessments to Charlton as $11,393,472 and to Dudley of $6,982,715. ... to advance the knowledge and well being of our children and our community.